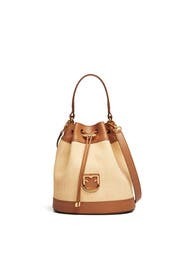 Signature Furla hardware adds polish to this everyday go-to bucket bag. 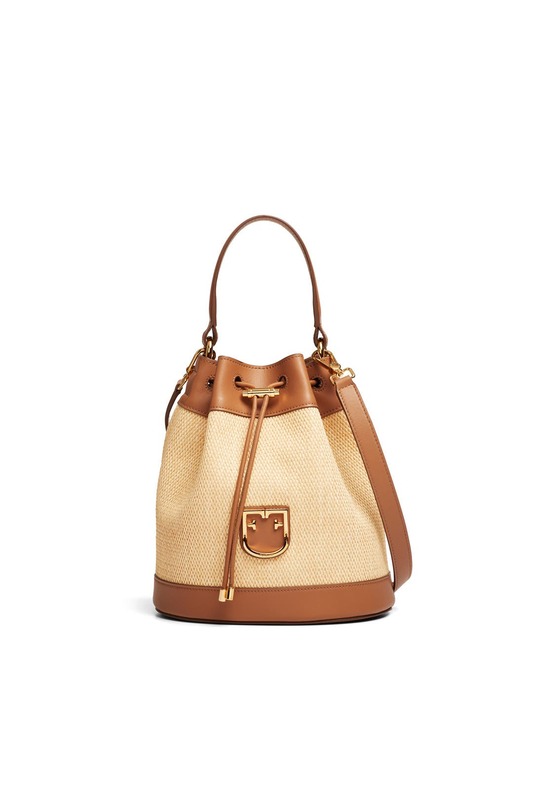 Brown leather and beige woven straw bucket back with front Furla logo. Drawstring closure and internal zip pouch. 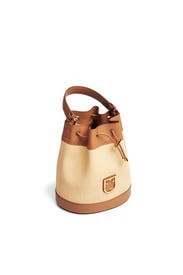 5" handle drop and 21.5" crossbody strap drop. 8.6" W x 9.5'H x 6.3"D.